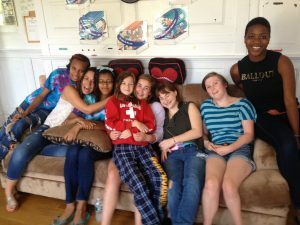 The Madden Open Hearts Camp has a structured program, involving campers in up to five activities each day. The program blends instruction in sports, recreation, arts and environmental activities. There are rest periods built into the day, and a daily evening activity. MODIFIED SPORTS/LEISURE AT APPROPRIATE INTENSITY – swimming, soccer, volleyball, relays, basketball, capture the flag, Wiffle-ball, kick the cone, Drip, Drip, Drop, Ultimate Frisbee, noodle guide, park ranger, hundred, kickball, manhunt, Uncle Giacomo’s Lawn, sneak attack, croquet, camouflage, wizards-elves-giants, thumper, tag-back, miniature golf field trip, and more. BROADER ARTS AND ARTS & CRAFTS – drama, music, visual arts, theatre, talent, variety shows & trips to cultural events in the area, tie-dye shirts, duct tape purses and wallets, Mosaics, free-style design and sketches, magazine collages, painted frames, home-made costumes, impression masks, dream catchers, woven bracelets, beaded necklaces, Origami, elaborate murals, and many others. 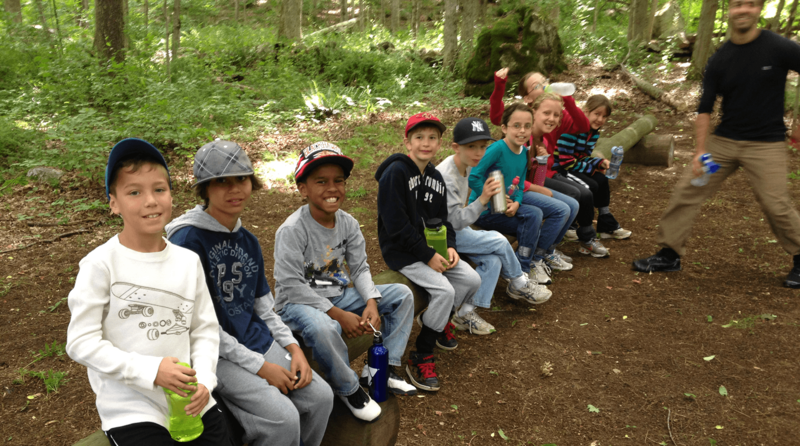 – low ropes challenge course, hiking, camp crafts, environmental awareness, Olympics, color wars, theme days. INDOOR RECREATIONAL PLAY pool table, ping pong, air hockey, foosball, fun tournaments, cooperative group games, bowling field trip, Icebreakers, big-wind-blow, bumpity-bump, zip-zap-zup, pterodactyl, crow’s nest, Shimaru Warrior, mystery mansion, art gallery freeze, Swedish game, improvisation challenges, round-robin teasers, honey-if-you-love-me, lip-synching competitions, talent shows, board games, spoons, Skipbo, Uno, pepsi, Texas Holdem and more. 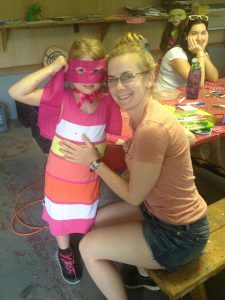 The program is flexible and designed to accommodate a wide range of children’s interests and skills. There are many opportunities for children to choose their favorite activities, as well as plenty of opportunities for staff to encourage children to try something new. air-conditioning units, and comfortably accommodates all campers and counselors in one sitting. 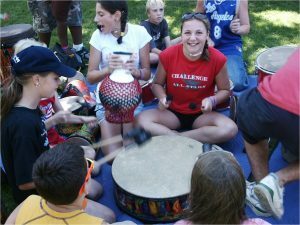 On-site programmed activities take place at various locations around the camp property, such as the recreation room, the swimming pool, the low ropes course, the sports playing field and the campfire circle The camp infirmary is located in the main house, close to both the boys’ and girls’ dorms and to the main centers of daily activity. 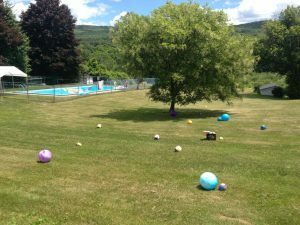 The Open Hearts Camp facility is also equipped to cater to the special needs of children who are sensitive to hot or cold weather temperatures. The swimming pool is heated and is kept as warm, or as cool, as is necessary to make swimming a safe and enjoyable activity for all campers. 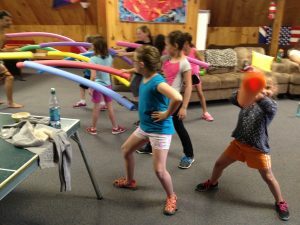 If the weather becomes particularly hot, campers can comfortably enjoy a variety of programmed activities in any of the camp’s air conditioned spaces such as the recreation room, bunks, or dining hall. The Open Heart includes an outdoor focus to its program. The fresh country air and beautiful scenery in the Berkshires provides the perfect opportunity to get a little closer to nature and enjoy activities in a serene environment. 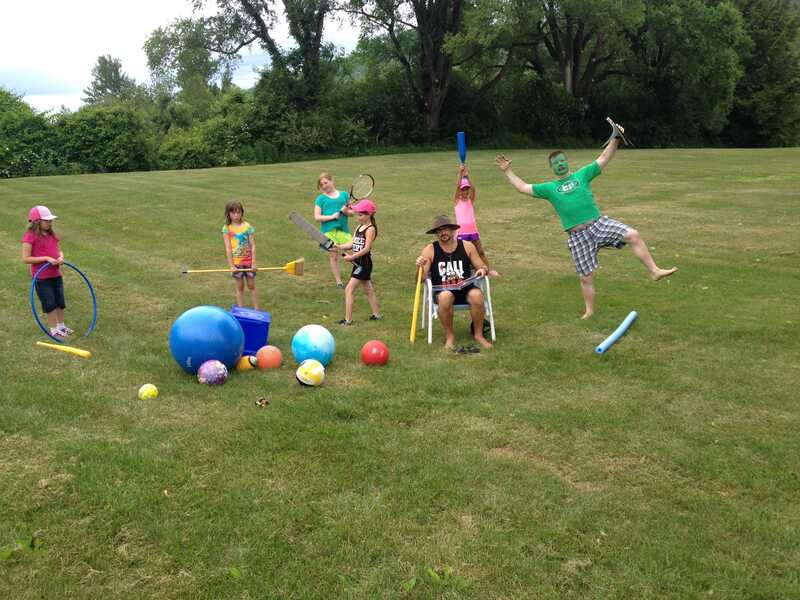 Majestic hikes, challenges on our wooded low ropes challenge course, and camp activities performed outside whenever the weather allows provides a great escape for children who don’t always have the chance to experience the great outdoors. The low ropes challenge course at the Open Hearts Camp consists of different elements, such as the Spider’s Web, Mohawk Walk, and Telephone Pole Shuffle, that are raised, but low to the ground. 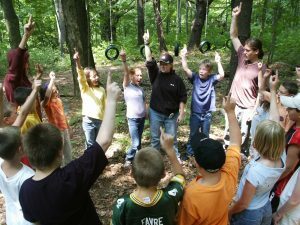 The purpose of the course is for campers, with the assistance and guidance of staff, to safely work together as a team to traverse the various elements. The challenges arise as cooperative efforts and strategies are devised to complete each task. Trust, team building, and support are all necessary themes to successfully meet each challenge. An important boost in self-confidence and sense of community often results from working through this well designed obstacle course. A full-time Registered Nurse is on-site at all times, dispenses all medications, and is available to provide any necessary medical care for campers 24 hours a day. In recent years, we have been fortunate to recruit talented Nurses from hospitals and schools in our region and beyond, all of whom are well versed in pediatric care. ambulance services in an emergency situation. Berkshire Medical Center is also available in Pittsfield, MA. Local police and fire services are well-aware of the camp’s summer operating schedule and are accessible if the need arises. 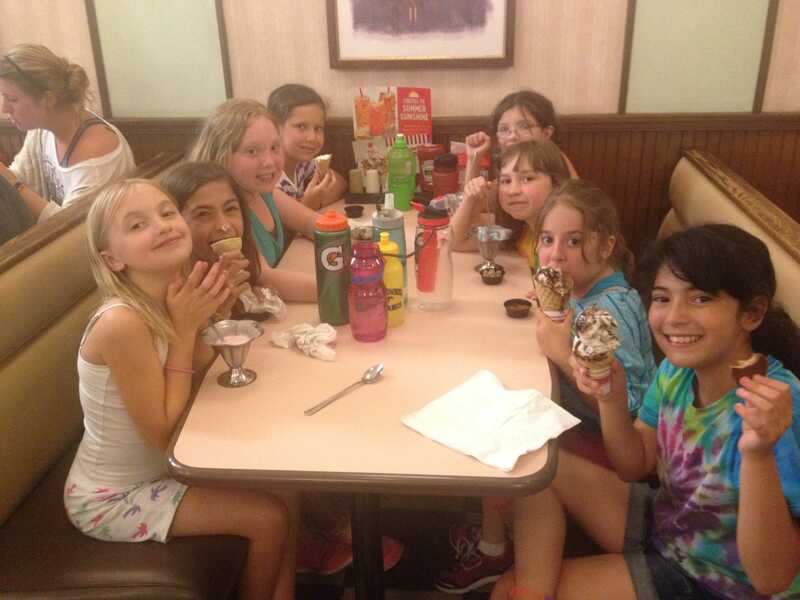 In our dining hall, the menus strike a balance between nutrition and kid-friendly camp food favorites. We use name-brands and quality ingredients in our kitchen to ensure our campers are getting tasty and nourishing meals Snacks are provided throughout the day to keep up with our growing kids and water and beverages are continuously flowing given the importance of staying well-hydrated for our cardiac campers. 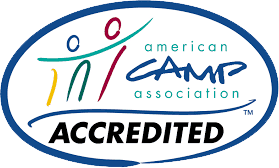 As required by law, and to ensure maximum safety, this camp must comply with the regulations of the Massachusetts Department Of Public Health and be licensed by the local Board Of Health.